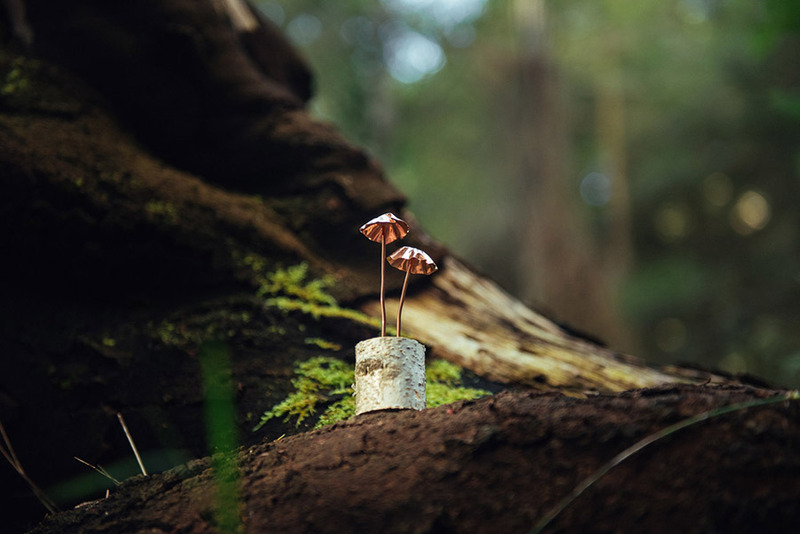 Jaccob McKay Studios is a multi-award winning photographer, artist and craftsman from Melbourne working with sustainable natural materials and metals to create unique jewellery and homewares. 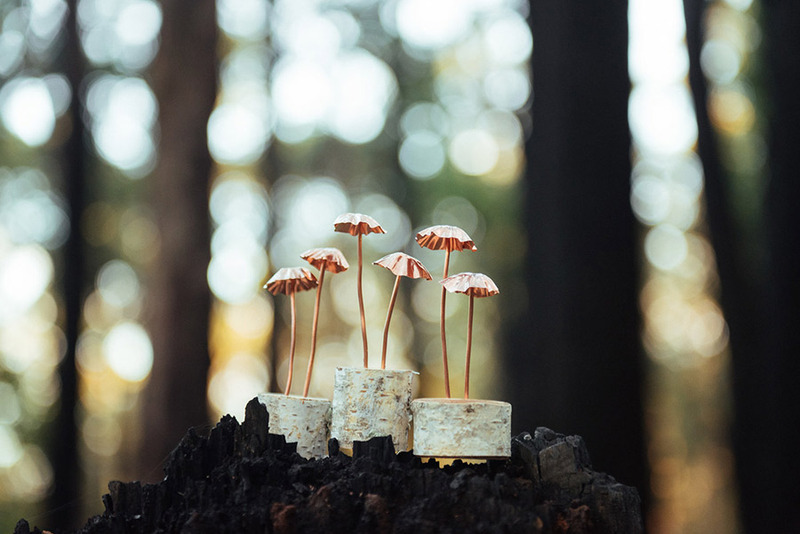 From his home studio in the Dandenong Ranges, Jaccob designs and crafts a range of beautiful and bespoke items inspired by nature. 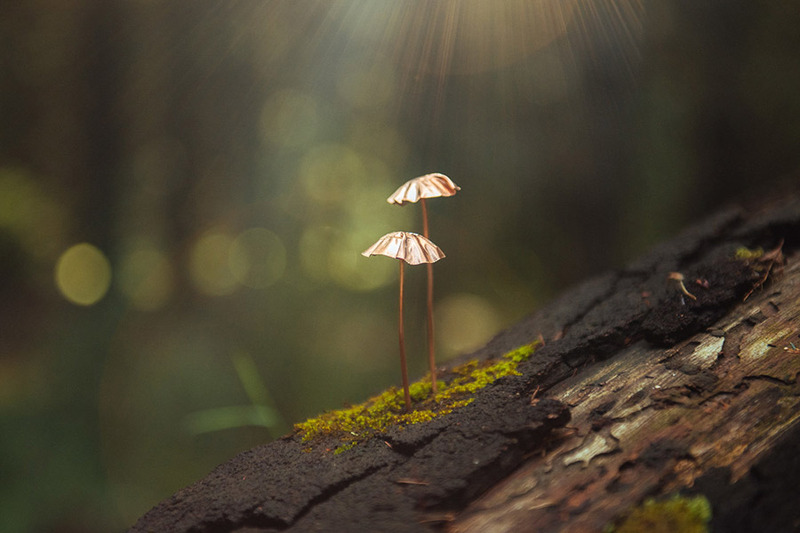 For any avid terrarium builders out there, you’ll find it hard to go past these adorable Copper Mushrooms! 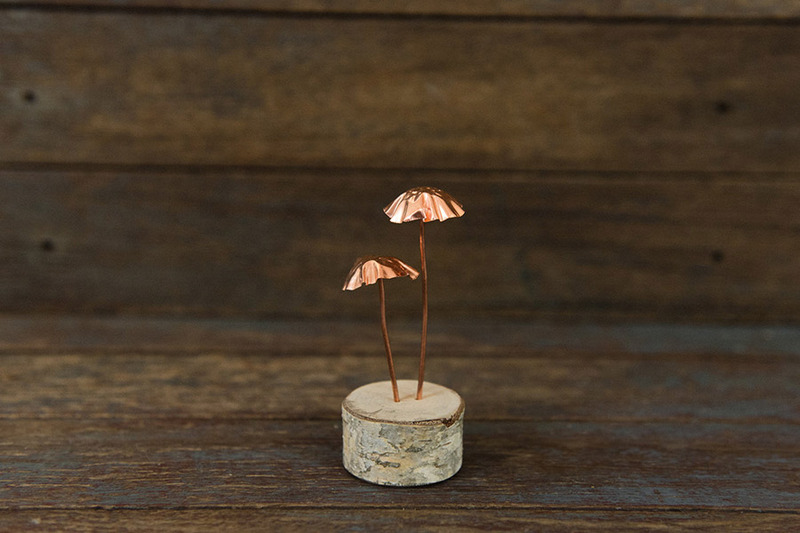 Featuring a set of two handmade copper mushrooms presented in a small wooden log, decorate a tiny nook with these sweet little things! For more from Jaccob McKay and over 200 other designers, be sure to visit our Melbourne market, 14-16 July at the Royal Exhibition Building!